Notifications can be annoying when they are constantly grabbing your attention. Learn how you can customize Windows 10 notifications to only show the things you want. When there is a notification in Windows 10, the Action Center app icon will be temporarily overlapped by the actual app icon. Here’s how to disable it. 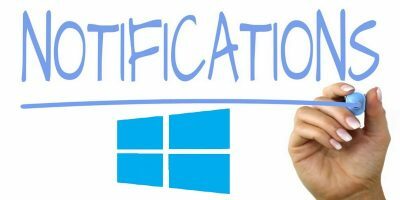 If you’re annoyed by or just want to get rid of the New App Installed notification in Windows 10, here’s how to disable it. One of the common issues with Windows 8 is that app notifications keep appearing after you have seen them. You may restart your PC and see the same notifications you did when you logged off. Using the Local Group Policy Editor, you can clear these app notifications when you log off your computer.